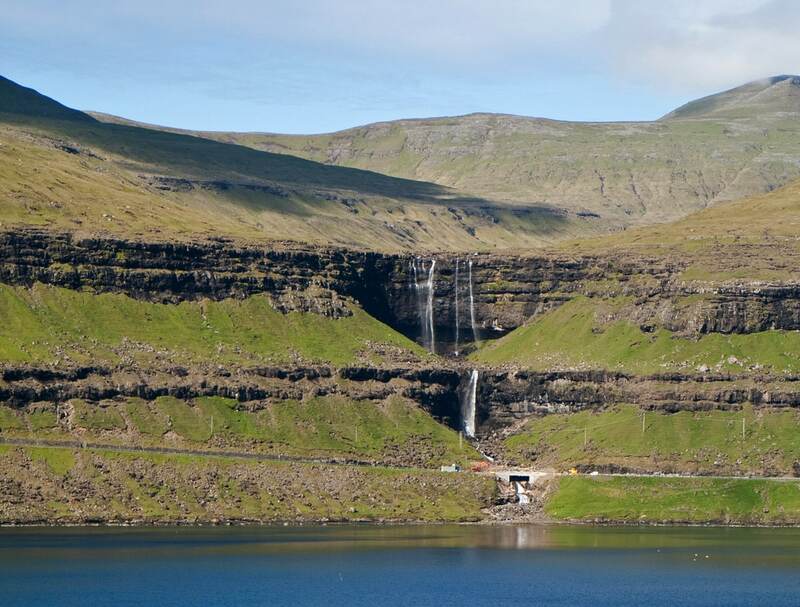 One of the best known Faroe Islands waterfall is Fossá – spectacular waterfall with two cascades – vertical plunges. "Fossá" in Faroese means "river with waterfalls" – several streams on the islands have such name. In fact islands are very rich with waterfalls – and many smaller streams have formed even taller waterfalls than Fossá – but Fossá is considered to be the largest one. The stream of falls starts in the uplands. One of the tributaries comes from Víkarvatn lake. In dry weather the width of the stream is some metres, but after heavy rain this waterfall becomes truly spectacular. 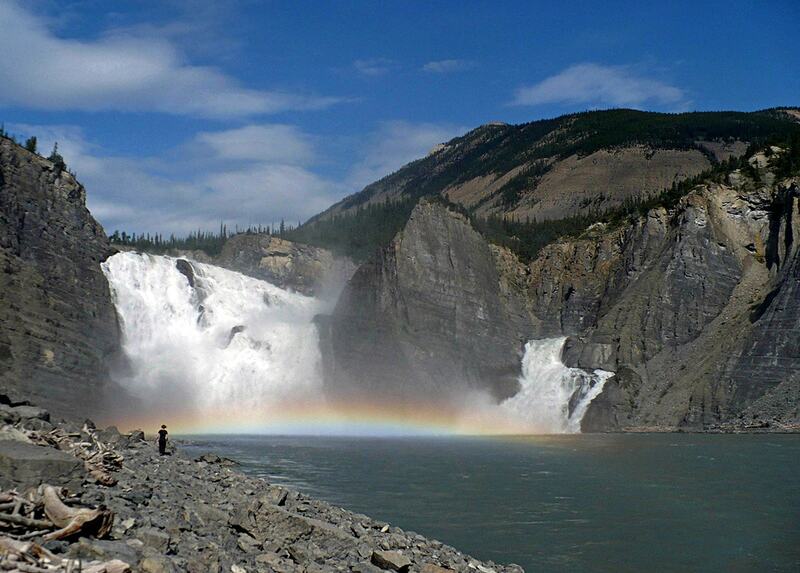 Almost all tourist guidebooks mention that this waterfall (both cascades together) is 140 m tall. Wondermondo has doubts – according to the topographical maps the upper rim of falls is approximately 140 – 150 m above the sea level, but base – some 30 m above the sea level. May be the figure in tourist guides includes the steep run from the base of falls to the Sundini sound – here the stream over the distance of 180 m descends by some 30 m, forming some smaller cascades. 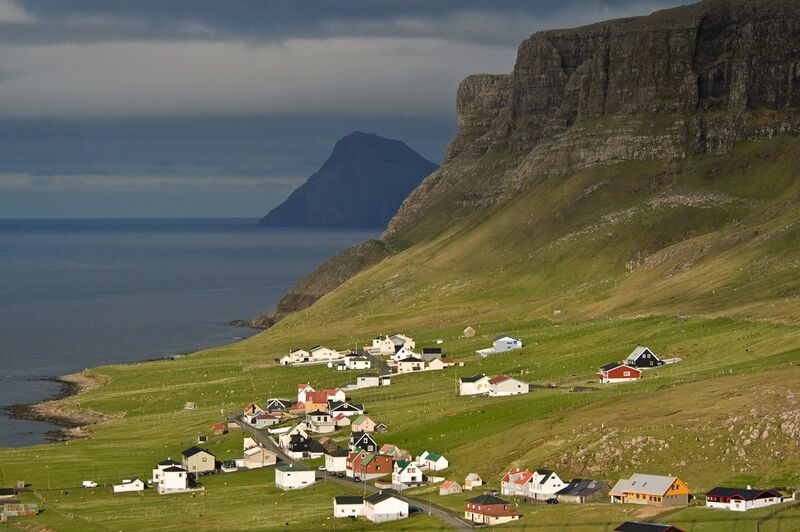 Faroe Islands are far from the mainland Europe – but constitute an integral part of European cultural realm. Islands are incredibly tidy, with top-notch infrastructure and… with breathtaking, pristine natural beauty. May be no other country can offer such fabulous Nordic nature together with historical architecture – even Norway. Still the only English-language guide to the Faroe Islands, covering everything from succulent fish suppers to remote hideaways, the Bradt guide is the definitive source of information for visitors wishing to discover the 18 islands of this North Atlantic archipelago.